mommy's reviews: Shopping Planner for New Moms from ShopperIncite & FREE Shopping Planner For YOU! When it comes to having a new baby in the house, there are so many expenses that are incurred. Diapers, breastfeeding supplies, formula, clothing, bath supplies and other things are so expensive these days so I am always looking for ways to save. 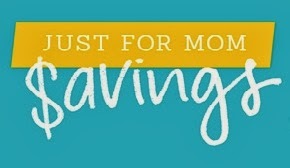 I love couponing, although I have dropped out of doing that for some reason. Maybe I will be picking it up again soon...there are so many great coupons out there! Well, today I wanted to share a new Shopping Planner for New Moms with all of you and also give you the opportunity to get one totally FREE for yourself! This planner comes from ShopperIncite and it is perfect for busy moms. 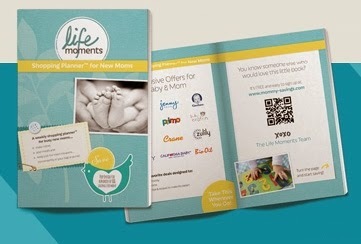 I was sent a Shopping Planner for New Moms to check out and share with all of you. This book is not huge and is slim, making it easy to keep in your car, diaper bag or purse. The idea behind this planner is to help moms organize themselves when it comes to planning meals, shopping for food and saving money on some baby and mommy products. If you are looking to build a book collection for your baby, this booklet has some cool coupons for books for little people. There are also valuable coupons for breastfeeding products, baby food and baby care products. Ok, so it is hard to see the details on these pages but what you are looking at here are meal planning/shopping pages. These pages take up most of the planner. On these pages, you have the days of the week listed and next to each day, is a place to write out your shopping list for each meal for those days. On the bottom of the meal planning pages there are yummy baby food recipes, tips and hints for meals and caring for baby. I have never had a planner quite like this one and am definitely looking forward to using the meal planning pages for sure. The coupons are useful for first time moms and certainly, for veteran moms like me as well. ShopperIncite would love to give each and every one of you a FREE Shopping Planner for New Moms! These booklets will ship in April and they are very excited to share this book with you. Even if you are not a new mom, you will surely find this to be a help to you and your family. Simply fill out the simple form and your Shopping Planner will be on it's way to you. Enjoy! Disclaimer: I received no monetary compensation for this post. I am working in conjunction with ShopperIncite and they have supplied the materials used in this post. All thoughts and opinions are 100% mine.